Following the likes of Michael Bloomberg, Jon Corzine, Hank Paulson and others who've jumped from Wall Street-type of jobs to public service ones, Austin Beutner, the co-founder of investment bank Evercore Partners and former Blackstone Group partner, has announced his intentions to "explore" running for mayor of Los Angeles. To do so, Beutner has relinquished his post as head of the current L.A. mayor's Office of Economic Development, a position paying the millionaire ex-banker just $1 a year (Beutner agreed to the nominal salary due to his wealth and the city's poor financial situation). How Beutner made his way to that post began in 2007 when he was seriously injured in a bicycle accident. In mid-2008, while still recovering, Beutner retired from Evercore. He joined the mayor's office at the beginning of 2010. The current L.A. mayor, Antonio Villaraigosa, will end his reign in 2013 (term limits prevent him from running again), at which time Beutner, along with a host of others, are expected to enter into a highly-competitive race to succeed him. 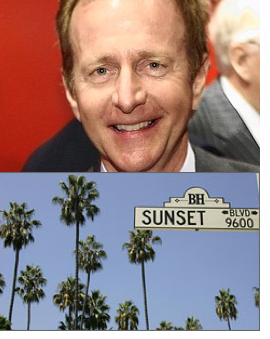 As for Beutner's track record so far working in the government sector, his boss, Villaraigosa, has only praise for him. "He went out and started cold calling," Villaraigosa said. "We no longer let the palm trees do our marketing, and we have made L.A. more business friendly." The mayor also said Beutner "played a key role in business policies that expanded the state enterprise zones and helped firms such as Google, Target and Mission Foods to move to Los Angeles."